When Health and Human Services secretary Tom Price became a certified swamp creature, he was dead to Trump. Trump was scratchy with Price anyway because of his questionable advice and atrocious results on health-care repeal. 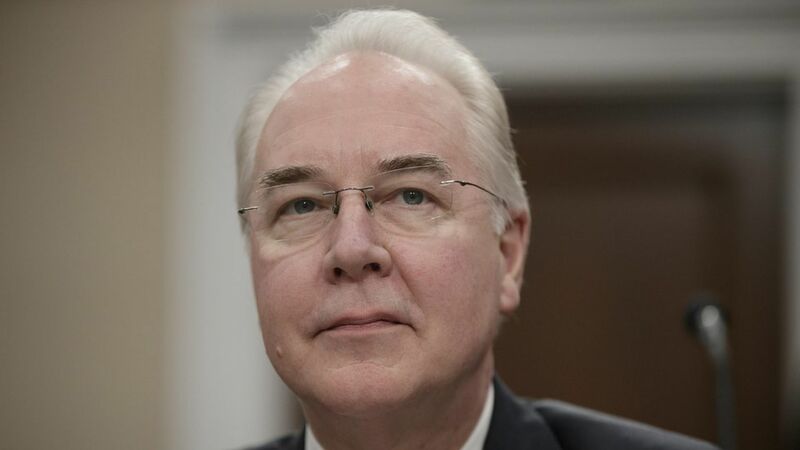 Now POTUS had an easy excuse to boot the orthopedic surgeon and former U.S. House member from Georgia, making him Trump's first Cabinet secretary to depart. The coverage was at least as lethal to Price as the reality. N.Y. Times: "Trump berated Mr. Price in the Oval Office on Friday afternoon for about two hours before heading out to meet with reporters." Trump told reporters on the South Lawn as he left for New Jersey, shortly before Price's resignation was announced: "Look, I think he's a very fine person. I certainly don't like the optics." A veteran Republican tells me the White House shares the blame for the spate of Price-y plane flights that were uncovered by Politico's Dan Diamond and Rachana Pradhan: Such spending would have been less likely to occur in a West Wing with more normal controls and organization. But the high-flying habits could have rankled Trump voters who seem impervious to most other excesses. So Price had to go. White House budget director Mick Mulvaney later told heads of executive branch departments and agencies that White House chief of staff John Kelly must sign off on use of government-owned, rented, leased or chartered aircraft. The memo's keeper line — call it the Price Rule: "[J]ust because something is legal doesn't make it right."